In what has become a very canny move by Billy Corgan, the Smashing Pumpkins reissues continue apace. 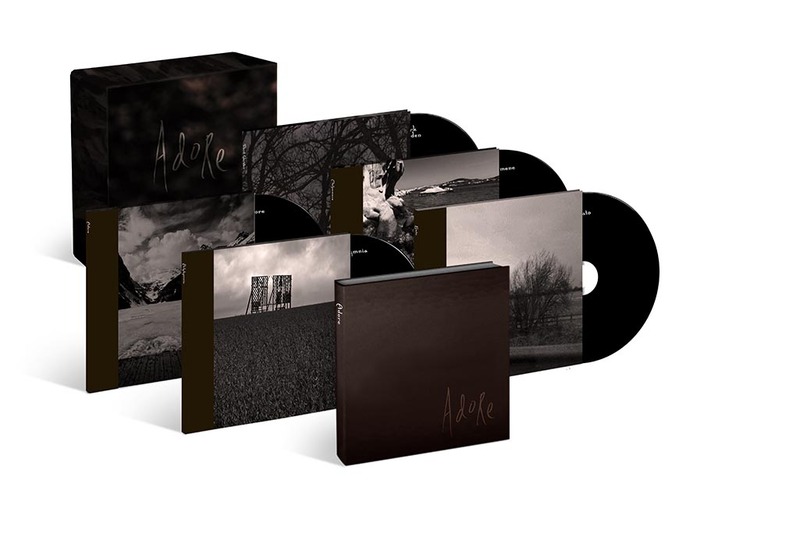 Next up, Adore, the oft maligned follow up to the monster that was Mellon Collie and the Infinite Sadness. It has become a canny move for many reasons. Corgan himself said he has had to fight tooth and nail with record bosses to have them continue with the restoration/reissue process, but in doing so he is continuing the dialogue he had way back when. In revisiting and recontextualising the releases (Adore is being billed as a lost masterwork) he is afforded the opportunity to discuss the band’s history with a new audience. He is also afforded the chance to plug the increasingly disappointing post-reformation material, which at the moment is with an album within an album type deal. With Tommy Lee on drums. Adore is an oddity. I remember the furor surrounding its initial release. I was at college and just digging through the rest of their pre-Adore material, trying to unravel Mellon Collie and the Infinite Sadness, sat in my bedroom with headphones on. Adore struck me, as it does now, as a worthy but flawed departure. The record is a brutal one, a chronicle of Corgan coping with the death of his mother, and to some extent the death of his band. The surrounding video material (particularly the documentary of the band at the time, and a post record interview with Jimmy Chamberlain where he states he hated to hear his friend struggling) paint a picture of a very different band coming to terms with the fact that they were recording a very different album to what had gone before. For me Adore works as part of a bigger picture, as part of a collection of albums that were peerless in their ambition. From Gish through Machina, the Pumpkins created a staggering body of work. At the time, Adore seemed like career suicide (which Corgan himself admitted). It harked back to the bands drum machine/overtly goth beginnings, it ditched the huge guitar sound and overarching concepts for a more subtle approach. There’s some tremendous material on Adore, in fact the opening three songs are as strong as anything they put out. ‘To Sheila’, the heartbreaking whisper of a start, ‘Perfect’ which had the unenviable task of mirroring much of what ‘1979’ accomplished and ‘Ava Adore’, the crunching, bombastic lead single. Thereafter, things become more problematic for me. Adore is rated rightly by each fan. For some it truly is the lost classic. I love the effort made to move away from the enormity of what came before and the sounds in general (which have aged remarkably well when compared to records from a similar period), but the loose arrangements and rambling, moribund feel do drag. The real meat for many will be the additional material which not only detail Corgan’s soundtrack work from the time, but demos from around the Adore sessions, some which would go on to feature in subsequent releases. The material ranges from finished songs (‘Eye’), to scratchy recordings of ideas. Some admittedly are surplus to requirements and may only ever be listened to once as a curio, but some, like the alternate takes of ‘What If?’ add much greater depth to the overall experience. Corgan has said many times before that he loves the surrounding material from bands catalogues, not just the cream, but the long thought lost demos and ideas. Credit must go to this effort as it truly (aside from a glaring omission of ‘The End Is The Beginning Is The End’) sates any serious collectors/fans appetite for just that. These continuing reissues are testament to not only the material but the relationship people have with the material. Normally, albums which were deemed failures and lesser works do not get the full on reissue treatment unless they’re from one of the “dinosaurs of rock” bands. It’s encouraging to see such a package (albeit one with a hefty £60 price tag) put together and pored over in such a manner. Now, where’s my Machina reissue?! Posted in Proper Rock, reviewsTagged Adore, Billy Corgan, Reissues, Smashing PumpkinsBookmark the permalink.